24 Hour Water Restoration Company In Houston,TX , Tex A Clean Carpet Care LLC is on call 24 Hours 7 days a week to better serve our local Houston, TX & Surrounding areas with Quality services at affordable prices. When hiring Tex A Clean Carpet Care LLC, One of the best 24 Hour Water Restoration Company In Houston, TX. You Can Count on our Fast response team to be at your Location as Fast as possible. Here you can find a few Water Damage & Restoration tips in the meanwhile of awaiting our crew to arrive, To keep all your belongings as safe as possible. Another Great thing about hiring our Crew is wee will never keep you waiting for drying equipment. We have all the right equipment and enough equipment to take on any size job. Have you ever called a 24 Hour Water Restoration Company In Houston,TX for services and you had to wait a day or 2 to get some equipment in your home? Due to the companies running out of Drying Equipment. Well this is another benefit for you when choosing our team we have a variety of locations. Our main headquarters is in Down Town Houston, Texas. We have a few other locations in Katy, Texas / Spring, Texas / East Houston, Texas & Thewoodlands, Texas. Just Remember we will not keep you waiting. Our team will get right out to you and try to get your home back in shape as fast as we possibly can. We keep all the best Equipment in stock. Our Company Here at Tex A Clean Carpet Care LLC uses the best bran equipment on the Market. 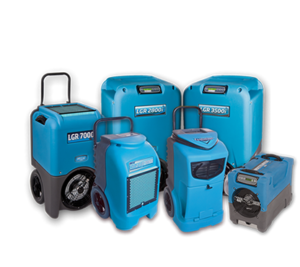 Here is photo of the equipment we use here at Tex A Clean Carpet Care LLC.